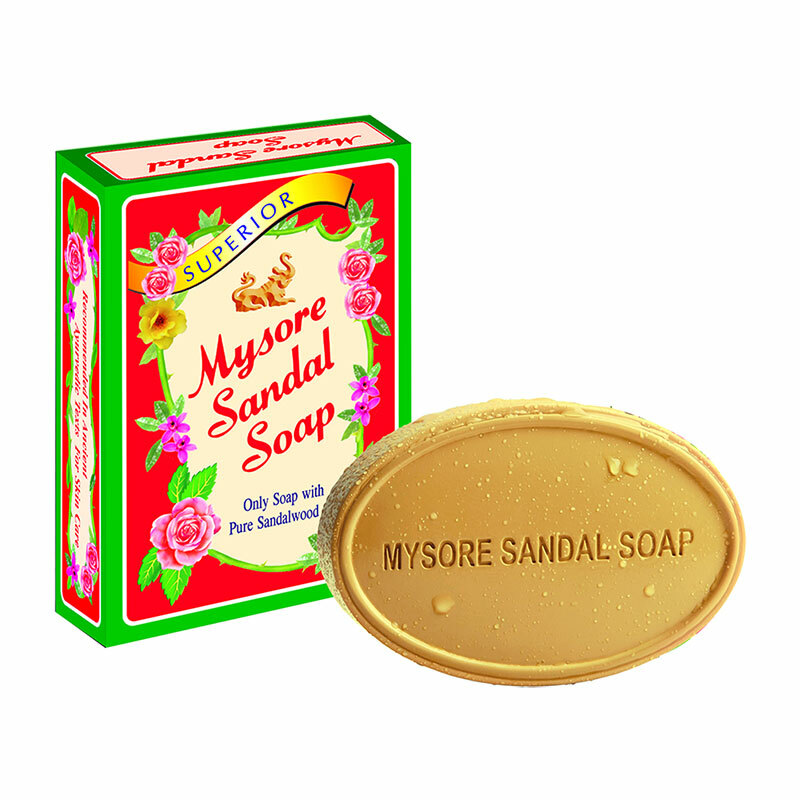 Mysore Sandal Soap is the only soap in the world made with 100% pure sandalwood oil, the oldest known perfumery material. The oil of Sandalwood recommended in ancient ayurvedic texts for skin care, has excellent antiseptic properties and soothes prickly heat and other skin rashes. This soap is made totally from pure vegetable ingredients. The Mysore sandalwood oil used in thios soap is distilled by the Government of Karnataka, India. The only soap in the world with a unique combination of glycerine and 100% pure, natural sandalwood oil. Mild, gentle Mysore Sandal Soap turns your bath into a beauty treatment. It contains no harsh chemicals to cause allergies or irritation. It contains pure sandal oil from the forests of Karnataka, India, which supply Mysore Sandal oil, the best in the world. Sandal Oil soothes dry skin and relieves rashes, bringing a glow to the face and leaving an exquisite lingering fragrance. Used the world over for its excellent skin-softening and nourishing qualities, it enhances lathering and perfume retention.